Happy Fathers' Day! 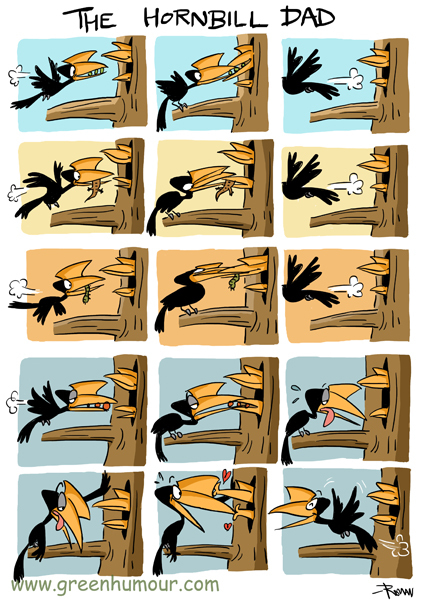 Here's one of nature's most overworked yet tireless dads- the male Pied Hornbill. Hornbills nest in crevices in trees in which the female locks herself up by sealing the crevice, only leaving a thin passage open to let her bill through. She then lays her eggs and rears her young within her 'cell', during which both the mother and the offspring depend entirely on the male for resources. This is one dad that doesn't complain about working overtime!